The XLAB Torpedo Kompact 500 is a sleek, aerodynamic carbon fiber hydration system with a lightweight, secure design. Mounting brackets clip on and velcro to aerobars. The integrated Garmin mount makes it easy to keep an eye on ride data. The included Cool Shot bottle keeps liquids chilled for maximum refreshment. Sleek, aerodynamic, carbon fiber hydration system with integrated computer mount. 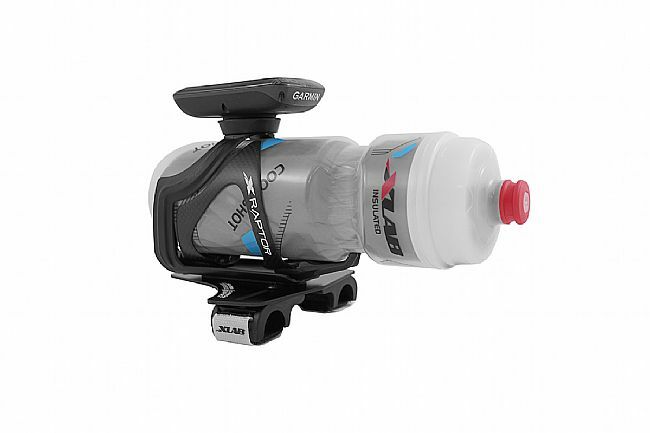 Comes with everything you need – mounting plate, GARMIN-specific computer mount, cage and 20oz bottle. 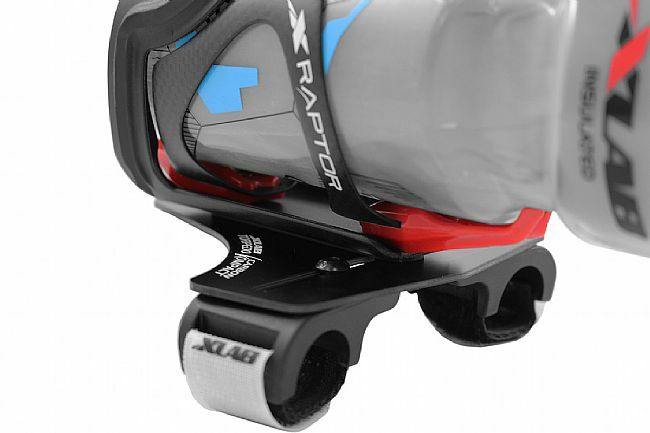 XLAB SecureClip™ brackets eliminate rattling and shifting. Claimed weight: 154.4 grams (without bottle or computer). Bottle grip force: 7 lbs. The XLAB Torpedo Kompact 500 is the perfect solution to my out front water bottle needs. It's lightweight, easy to install and adjust, and provides me the electronics mounting options I was looking for. The mount is sturdy and I haven't had any problems with rattles or the bottle coming loose even on rough surfaces. The reflective water bottle is a nice touch. A bit pricey but I feel like you get what you pay for.